As the days go by Toronto City Hall and Queens Park have become quite lively and for all the wrong reasons. 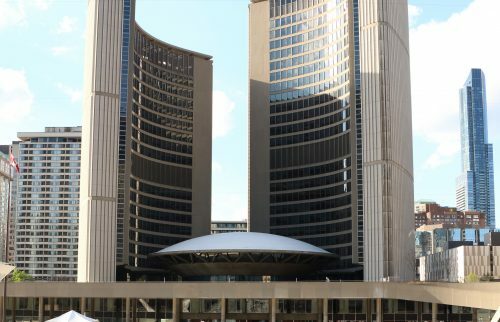 Instead of looking after our interests and the welfare of the province, some Toronto City councillors and Ontario Members of Parliament have decided to band together to fight Premier Doug Ford’s plan to reduce Toronto City councillors seat from 47 to 25. Yes, it was unexpected and perhaps even bad timing for Doug Ford to do this, but his government has the right to do this and there was more than enough time for Toronto city clerk, Ulli Watkiss, to make all of the necessary changes until an unexpected court ruling that changed things. Ontario Superior Court, Edward Belobaba, ruled that Ontario’s Bill 5, also known as Better Local Government Act, is deemed unconstitutional as it infringed on Charter rights. Judge Belobaba ruling has some legal experts raising their eyebrows as his the reasoning is a bit of a stretch, but nevertheless, it gave Premier Doug Ford’s opponents fuel to hail it as their victory. Unfortunately, it was a short-lived victory until Doug Ford decided to use Section 33 of the Charter “notwithstanding” clause which basically overrides the judge’s decision. This is the first time in Ontario’s politics that the “notwithstanding” clause is being used. Some will say it is wrong for democracy and some will say it’s okay because what the point of having a tool if you don’t use it. So the number of Toronto City’s councillors will be cut from 47 to 25 after all. Now instead of accepting this, we have all of these ruckuses especially from Toronto’s City councillors who are about to lose their jobs go amok. They are fighting tooth and nails to counter the notwithstanding clause and have mobilised their base to protest. Yet for all of the hoopla about our democracy being eroded, one has to take a step back to ask “Why are more people not out protesting?” The reason is simple: People can still vote. No one has taken away our rights to vote except now we just have fewer councillors we need to vote for. Forget about the savings from having fewer councillors and hiring more front-line staff; forget about doing this will align with the provincial and federal ward boundaries ridings; forget about benchmarking against other world-class cities the number of city councillors to the number of constituents and forget about any other benefits that this move might have. Just be angry, not regular angry, but very angry and start protesting. It’s one thing that we are starting to get good at. With the way our government is going no wonder, not a lot gets done because we now have opposing forces that only care about their own interests. Our society has come to the point where social justice warriors can easily band together with the help of the Internet and social media where we will continue to see a perpetual rise in political gridlock by the left and the right. And if you think the judiciary is impartial, anyone who has been watching some of the contentious rulings of late will realize that, yes, there are indeed activist judges out there and Edward Belobaba might be one of them. However, there is one truth that most people can agree with Premier Doug Ford on and that’s when he said that he has never heard anyone coming up to him and say we need more politicians. Should Doug Ford be Toronto’s next mayor?